China says it will halt all coal imports from North Korea, starting Sunday and for the rest of 2017, amid growing tensions on the Korean Peninsula following Pyongyang's most recent missile test last week,CNN reports. China's Ministry of Commerce, in a public notice jointly issued with the country's customs agency Saturday, said the decision was made to comply with a UN Security Council resolution that China helped draft and pass last November.Resolution 2321 imposed some of the toughest sanctions yet against the North Korean regime, after it disregarded an earlier UN ban to test what it said was a nuclear warhead in September 2016. "Imports of coal produced in North Korea -- including shipments already declared to the customs but yet to be released -- will be suspended for the remainder of this year," said the statement posted on the ministry's website. Coal is North Korea's main export and an important source of foreign currency for its fragile economy. Most of North Korea's exported coal is shipped to China, its only major ally on the global stage. 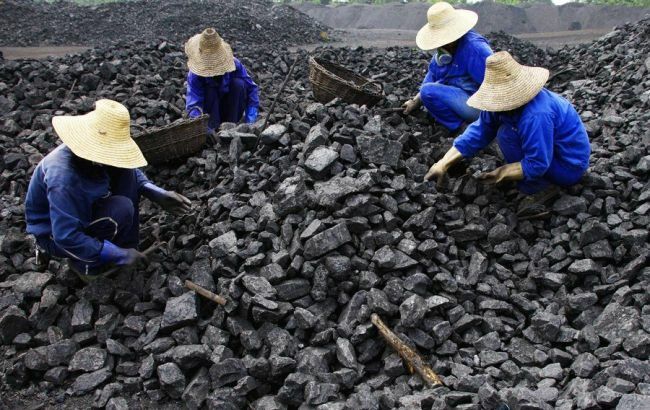 North Korean economist Ri Gi Song, a researcher at the Institute of Economics at the Academy of Social Sciences, said the coal ban would not have a big effect. "We have been exporting some good quantities of coal, but we didn't export very much," he said. "(Therefore) we don't feel very much affected by the so-called restrictions." He said the export of other raw materials -- such as magnesite and graphite, used in smartphone production -- is "very important" for major world economies. North Korea sits on more than half of the world's deposit of those two raw materials, Ri said. North Korea claimed success in its February 12 test of a new medium long-range ballistic missile, the Pukguksong-2. China voiced its opposition to the launch and joined other members of the UN Security Council in condemning Pyongyang's action. When reports first surfaced last week that authorities in an eastern Chinese port rejected a large shipment of coal from North Korea, a Ministry of Foreign Affairs official declined to confirm the story but reiterated Beijing's long-held position. "China fully, earnestly and faithfully enforces relevant Security Council resolutions, which include clear provisions on North Korea's coal exports," said ministry spokesman Geng Shuang last Wednesday.